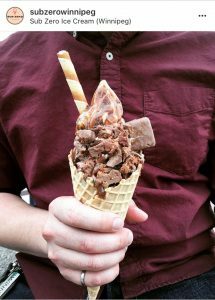 In addition to the Down Under Parfait at Sub Zero Ice Cream, two other things to let you know about. 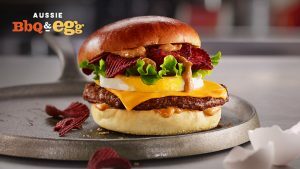 McDonald’s is offering an Aussie BBQ & Egg Burger from July 16 to July 29 as part of its world taste tour. Made with 100% Canadian beef topped with a fresh cracked egg, crispy beet chips, processed cheese, leaf lettuce and a smoky BBQ sauce on a brioche-style bun, it not only looks good, but you could also win a trip to Australia! And if you are looking for Vegemite, Stonewall Family Foods has small jars of Vegemite for $10.49. It’s in the “British” section of the store, next to Marmite. 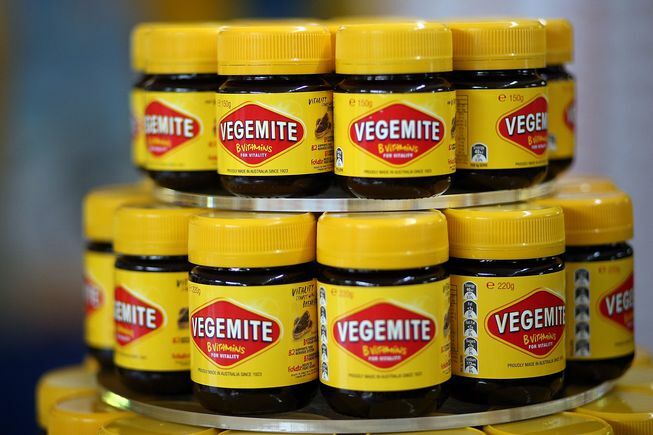 The only other place we know has Vegemite is Save On Foods – three locations in Winnipeg. NOTE: London Drugs no longer stocks it and isn’t planning to do so in the future. 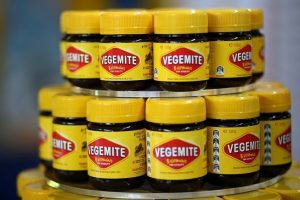 If you spot Vegemite anywhere else, or hear of any other Aussie and Kiwi products or locations we should know about, do what Peter and Margaret Munn did and let us know. This entry was posted in Australia, New Zealand, Plonk and Tucker, Winnipeg on June 26, 2018 by Jenny Gates. 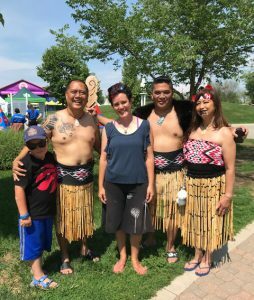 Thanks to DUCW members Penny and Sam Hechter for attending the Indigenous Day Live celebrations in Winnipeg on June 23 and letting us know that New Zealand was represented at the event. If you hear about or see any Aussies and Kiwis at events here in Winnipeg, let us know and/or take a photo so we can help spread the word. This is definitely an event to watch out for next year. This entry was posted in Events, New Zealand, Winnipeg on June 26, 2018 by Jenny Gates. Thanks to DUCW member Margaret Munn for letting us know about the delicious “Down Under” parfait – soft vanilla layered with Nutella, cappuccino crumble, Tim Tam biscuits, and chocolate hazelnut cream-filled wafer. Get yours today in either a cone or a cup. DELICIOUS!!! Available now at Sub Zero Ice Cream, 298 Jamison Ave, right here in Winnipeg. When you get one, take a photo and we’ll post it on our Facebook page. This entry was posted in Australia, New Zealand, Plonk and Tucker, Winnipeg on June 21, 2018 by Jenny Gates. Calling all Kiwis in Manitoba! 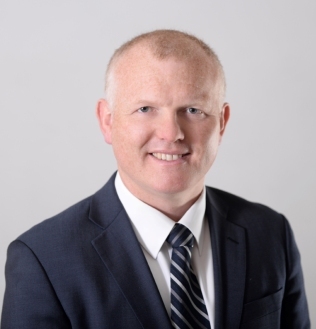 You are cordially invited to join New Zealand High Commissioner Dan Mellsop on Monday April 30 at the King’s Head (120 William in downtown Winnipeg) starting at 7:00 pm. If you are able to attend, please let us know at info@downunderclub.mb.ca or 204-228-9959 so we can get an idea of numbers. If you aren’t able to attend, but have a question we can ask or information you’d like to share, feel free to email that to us as well. For more information about Dan, visit the New Zealand High Commission’s website. This entry was posted in Events, High Commission, New Zealand on April 26, 2018 by Jenny Gates. Our ANZAC Day event is Saturday April 28. PLEASE NOTE THE START TIME OF 5:00 PM. The commemorative service will be held at the Scandinavian Cultural Centre (764 Erin), followed by a potluck dinner. You are asked to bring enough food for yourselves and a bit extra to make sure there is enough for everyone who attends. Mostly we are looking for main dishes, veggie dishes, rice and pasta dishes, and salads, as well as just a few desserts. All the details are in the April issue of The Southern Yarn. Photo courtesy Red Tractor Designs. 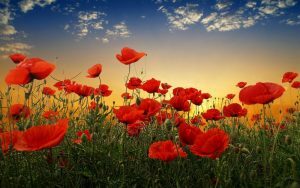 This entry was posted in ANZAC, Australia, Events, New Zealand on April 23, 2018 by Jenny Gates.